John F. Sweeney, MD, nationally recognized for his leadership in quality and effectiveness research and improved clinical outcomes in surgery, has been appointed the Joseph Brown Whitehead Chairman of the Department of Surgery at Emory University School of Medicine. He will also serve as director of surgical services and surgeon-in-chief for Emory Healthcare and chief of the surgery section of the Emory Clinic. Sweeney, who currently holds the W. Dean Warren Distinguished Chair in Surgery, and is chief of the Division of General and Gastrointestinal Surgery and chief quality officer for the Department of Surgery, has been serving as interim chairman of the Department of Surgery and interim surgeon-in-chief since January 2013. "We are delighted to announce Dr. Sweeney’s appointment as chairman of Emory’s Department of Surgery," says Christian Larsen, MD, DPhil, dean of Emory’s School of Medicine and Physician Group President for Emory Healthcare. "John is an individual of personal integrity, professional energy and commitment to quality leadership who is extremely effective in building teams through professional development and recruitment of top talent to complement his own leadership skills. In addition, John brings an exceptional background of surgical innovation and commitment to excellence, quality and the highest level of patient care." Since becoming chief quality officer in Emory’s Department of Surgery, Sweeney has sparked numerous quality improvement initiatives, including participation in the University HealthSystem Consortium Quality and Accountability Program and the Surgical Care Improvement Project. Widely published in high impact, peer-reviewed journals, Sweeney has focused his research on the clinical outcomes of minimally invasive surgical procedures and health services as well as the role of medical student and resident education in these areas. "I am extremely pleased to be named chair of the Department of Surgery at Emory University School of Medicine," says Sweeney. "Since joining the Emory faculty I have been fortunate to work with excellent colleagues who are committed to achieving the very highest levels of quality and positive health outcomes. Together we will continue to strive for excellence by all measures in order to save and improve the lives of our patients." In his role as chairman of the Department of Surgery, Sweeney will serve as the senior physician executive for the Department of Surgery. He will provide senior leadership in all clinical, educational and research endeavors involving the faculty of the Department of Surgery, with responsibility for the continued development of an academically and internationally distinguished department. He will also work closely with the School of Medicine to realize the school’s current and long-term goals and with chief medical officers and chief quality officers of Emory Healthcare and its individual hospitals to achieve Emory Healthcare’s goals related to surgical services. 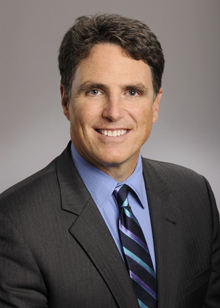 "Dr. Sweeney’s outstanding record in leading quality and effectiveness research and clinical improvements gives him the experience and expertise to establish and achieve even higher levels of clinical quality and outcomes, effectiveness of surgical services, and optimum utilization of resources in Emory Healthcare," says Fox. "We are very fortunate to have him as an outstanding leader for our Emory Healthcare team." Sweeney joined Emory University in 2007 from Baylor College of Medicine, where he served as chief of the Division of General Surgery and chief of Minimally Invasive Surgery. He was previously chief of general surgery at the Department of Veterans Affairs Medical Center in Ann Arbor, Michigan, and director of Minimally Invasive Surgery at the University of Michigan Medical Center. He received his MD from Rush Medical College and completed his residency and a fellowship in surgery immunology research at the University of South Florida. While an undergraduate at the University of Notre Dame, Sweeney was a four-year letter winner and captain of the varsity football team.